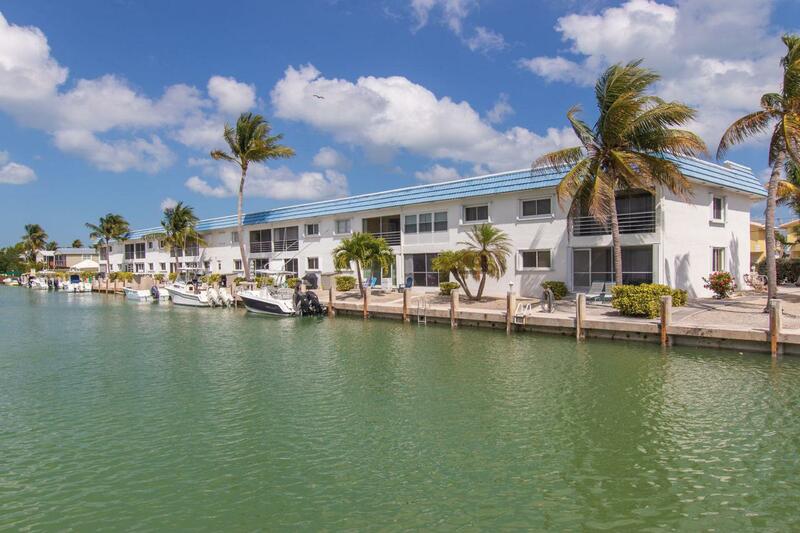 SELLER VERY MOTIVATED - Beautiful condo conveniently located in one of Marathon's exclusive neighborhoods, close to Sombrero Beach. This 2 bedroom 2 bathroom condo features tile through out, fully renovated kitchen with new stainless steel appliances, real wood cabinets and granite countertops. You can enjoy your cup of ''Joe'' every morning from the comfort of your enclosed sun room and larger living area. Separated storage closet for all fishing equipment. Take a dip in the heated pool or soak up the sun! Owner occupied for years, unit in immaculate condition. New roof for complex as well. Dock privileges available at an additional fee for up to 31 ft boat. Peaceful, quiet neighborhood just a bike ride away to Sombrero Beach. This is a ''must sea''!